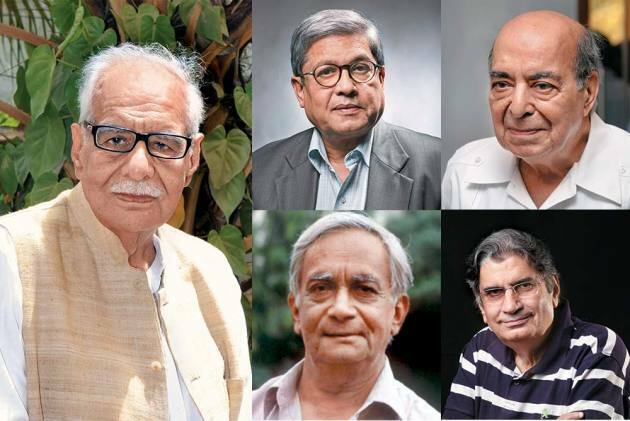 Kuldip Nayar belonged to a generation of edi­tors and senior journalists who ranged over India’s newspaper/magazine printscape from the time of Frank Moraes, S. Mulgaonkar and Prem Bhatia to that of the present generation of practitioners. Most of them have crossed over to the hereafter. With apologies for any possible exclusion, their distinguished ranks include B.G. Verghese, Ajit Bhattacharjea, Girilal Jain, V.K. Nar­asimhan, Pran Chopra, S. Nihal Singh, Inder Mal­hotra, Sachchidanand Sahay, Dilip Mukherjee, Vinod Mehta, Amalendu Dasgupta and Dilip Padgaonkar. Their contributions and the nature of their journalism varied. Kuldip Nayar’s forte was bringing behind-the-scene developments and concealed passages to the foreground of public view. B.G. Verghese played a pioneering role in making rural reporting and developmental journalism visibly important components of the craft. Ajit Bhattacharjea was known for his informed political writings and concern for human rights and social justice. Girilal Jain was a scholarly conservative with an eloquent pen. V.K. Nara­simhan was noted for the quality of his economic ana­lysis. Pran Chopra, S. Nihal Singh and Inder Malhotra were known for the incisiveness of their political commentaries, while Sachchidanand Sahay’s knowledgeable and insightful writings on legal and constitutional subjects had come to be widely admired. Dilip Mukherjee straddled political and economic journalism with aplomb. Besides writing elegantly, Vinod Mehta ventured into areas into which others had hesitated to tread and had the courage to publish what eme­rged. Amalendu Dasgupta wrote on a wide range of subjects, including developments on the nuclear front. Dilip Padgaonkar’s journalism bore the stamp of Seine-bank intellectualism. With all their divergent concerns and attributes, they bestrode a political, social and economic terrain that was complex and, often, adversarial. 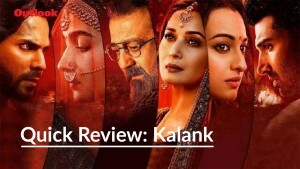 The landmark development in the latter area was, of course, the Emergency which Indira Gandhi imposed on the night of June 25, 1975, and lifted on March 21, 1977, after her and the Congress’s defeat in the Lok Sabha elections held earlier that month. The commonplace view, that journalists surrendered without a fight, is not true. Gour Kishore Ghosh, Magsaysay award-winning eminent Ben­gali writer and a journalist on the staff of the Ananda Bazar Patrika, had to spend almost the entire period of the Emergency in prison for shaving off his head and publicly denouncing its imposition. Barun Sengupta, Ananda Bazar Patrika’s great political correspondent and, sub­sequently, founder-editor of the highly successful Bengali daily, Bartaman, was incarcerated for roughly the same length of time as his writings had angered the powers that be. Bhupen Datta-Bhowmik, Hindustan Times’s stringer in Tripura, and later the founder-editor of the Bengali daily Sangbad, also spent almost the entire duration of the Emergency behind bars. Also in prison for roughly the same period was Sundar Rajan, a well-regarded journalist and columnist then based in Mumbai. A vocal opponent of the Emergency, Virendra Kapoor, then of the Financial Express and, subsequently, editor of the Free Press Journal, spent ten months in jail for protesting the beating of a young boy by Youth Congress workers for shouting slogans for democracy and against dictatorship. 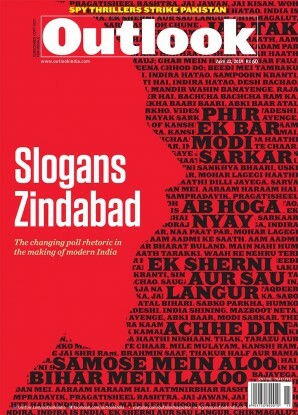 These editors strode a political, social and economic terrain that was complex and adversarial. There were others, including those who were not imprisoned but who did protest. Among the proprietors, two showed outstanding courage—Ramnath Goenka of The Indian Express and C.R. Irani of The Statesman, two papers which maintained a line of quiet but def­iant non-cooperation; so did the Patriot under the leadership of Edatata Narayanan, then chairman of its editorial board. The Emergency, however, was not the only cha­llenge that journalists of that generation had to con­­tend with. There were the Bihar Press Bill of 1982 and the Defamation Bill of 1988. The former, rushed through the Bihar Legislative Assembly by chief minister Jagannath Mishra on July 31, 1982, sought to restrict coverage and shield judges and public servants from probes into criminal charges against them. It triggered a massive outcry. It was considered to be not only an assault on press freedom in itself but a trial balloon floated by Mishra at the instance of prime minister Indira Gandhi to gauge public reaction to such a law at the national level. The protests, initially spearheaded by journalists, were soon joined by most opposition political parties, trade unions and organisations of teachers, lawyers, students and youths. On September 3, 1982, most of India’s newspapers remained shut along with the two national news agencies, the Press Trust of India and the United News of India. There was a massive ‘Bihar bandh’ on September 10. Finally, almost a year after the Bill’s passage, Jagannath Mishra, facing flak on multiple fronts and continuing to face angry protests, got a motion passed in the state assembly, withdrawing the Bill which had been sent for receiving the president’s assent. The Defamation Bill was introduced in Parliament on Aug­ust 29, 1988, against the background of a mounting crescendo of attacks, led principally by The Indian Express, against corruption in Rajiv Gandhi’s gov­e­rnment. The main focus was on the deal on the Bofors artillery pieces for the Indian Army, in which the supplier was accused of paying kickbacks to the tune of Rs 64 crore. Even Rajiv Gan­dhi’s own role in the matter came under the lens. Reportage on the Emergency and Bofors prompted the Centre to create offences of ‘scurrilous writing’. The development marked the coming of age of investigative journalism in India, which has a long history. An earlier landmark was the unear­thing—by Barun Sengupta of Ananda Bazar Patrika and Prithvis Chakravorti of the Hindustan Times—of what came to be widely known as the Orissa mining scandal. The long lull that followed was broken by writings first on the Emergency excesses and then on the Bofors scandal by Arun Shourie, N. Ram, and Chitra Subramanian from Geneva. All this and the apprehensions about more revelations had prompted the government to seek to create new offences of “criminal imputation” and “scurrilous wri­ting” and use vague terms like “grossly indecent” and “intended for blackmail”, which could be man­­ipulated to put journalists in the dock. Its provisions were draconian. It debarred judges from granting exemptions from personal appearance to accu­sed persons and provided steep penalties—up to two years’ imprisonment for first offence and up to five years’ imprisonment for subsequent convictions. Worse, it shifted the burden of proof from the plaintiff to the accused, which constituted an assault on the fundamental assumption of Indian jur­i­sprudence that a person is presumed innocent until proven guilty. A coordination committee of the national press was set up, comprising representatives of organisations of working journalists, newspaper employees, editors and proprietors to coordinate the entire media campaign against the Bill. Anand Sahay and Santosh Kumar, representatives of organisations of journalists and newspaper employees respectively, became the two conveners, while this writer was appointed spokesperson. The movement, however, could not have unleashed a nationwide tidal wave of protest without the active and large-scale support of journalists and non-journalist employees at all levels, proprietors like Ramnath Goenka and C.R. Irani, and editors and senior journalists like Arun Shourie, S. Nihal Singh, S. Sahay, Ajit Bhattacharjea, Rajendra Mathur, Prabhash Joshi, Kuldip Nayar, Girilal Jain, H.K. Dua, Mrinal Pande and Ashok Dasgupta. The movement snowballed. There was a massive rally at Boat Club grounds in Delhi on September 5, 1988, and a nationwide media strike on the following day. Finally, Rajiv Gandhi had to give in and announce the withdrawal of the Bill on September 22, 1988. It was a major victory for the Indian press, which has held its own ever since. Nevertheless, it can not afford to rest on its oars. Disturbing murmurs are being heard again and the need for vigilance and assertive action by all who value media freedom can by no means be over-emphasised.